About Us - ABEX Affiliated Brokers Exchange Inc.
ABEX Affiliated Brokers Exchange Inc., is an insurance wholesaler (MGA) providing niche products and insurance solutions to brokers across Canada. ABEX provides brokers with capacity and specialty facilities to create out of the box solutions for standard and misunderstood risks. ABEX was established in 1998 and is independently owned and operated with no financial ties to insurance companies or retail brokers. We are located in Waterloo, Ontario. If you are having difficulty placing a risk, contact us. We are always happy to “Look at Your Risk Differently”. A big thank you to our brokers for nominating ABEX for the Insurance Business Canada’s MGA of the Year award for 2018. Being among the finalists is a great recognition by the Canadian insurance industry and we are truly honoured! We were a finalist for 3 years in a row and have been working hard to earn the opportunity to be considered again this year. As a finalists for the MGA of the Year we are recognized as an MGA that offers superb service to brokers and is consistently proactive in educating brokers on products, while maintaining in-depth knowledge of financial markets and the competitive landscape of all product offerings. Below are three fun videos we recorded for the Insurance Business Canada’s awards gala in 2018, 2017 and 2016. Our mascot, Miss Understood, and the ABEX team had a blast creating the videos. In 2018, the theme was Iconic Figure and we decided to honour our local icon, Dr. Donna Strickland, who won a Nobel Prize in physics in 2018. For 2017, the theme was Broadway and Miss Understood starred in Lion King, Annie, Grease, Rent and Spamalot. In 2016, the theme was James Bond’s Casino Royale. Miss Understood is “M” and our president, Jad McGregor is “007”. He is helping her retrieve her stolen ostrich egg. Insurance Business Canada released its annual issue on five-star MGAs and ABEX is very excited that we were recognized. We would like to thank our brokers for voting us a 5 Star MGA for 2018. ABEX is excited to be repeating our five-star MGA status every year since 2015. The results of the broker survey reveal the best managing general agents whose performance, service and dedication to the industry make them stand out above the rest. The article polled brokers across the country on various areas that are important to them when working with MGAs. ABEX is committed to acting as an outstanding corporate citizen and giving back to the communities in which we do business. Through our dedication to social and humanitarian causes, we improve our communities while earning the respect of our customers and employees. ABEX has been a long-time supporter of various charities and continues to stay active in supporting efforts related to helping those in need in our community and beyond. “ABEX is hands down my first go to market for builders risks as well as the unique and challenging risks we need to place. Every single underwriter that I have dealt with throughout my 20+ years as a Broker is fantastic to work with. Their incredible knowledge and expertise is second only to their quick turnaround time, and courteous service. They have the complete package and are always able and willing to offer their direction and guidance in terms of applications and the best packages for the coverages required. “As an insurance broker for 11 years, I have dealt with many insurance companies and many underwriters. There are far and few between who are able to provide the products, service and underwriting expertise as the staff at ABEX. ABEX has been my main MGA for the past 9 years. They have become an integral part of my book of business which has allowed me to expand my book’s capacity. When there are hard to place risks, ABEX is always willing to look at the risk and provide some of the market’s most competitive rates as well as products. The staffs ability at ABEX to think outside of the box in our industry is what has lead me to have such confidence in their staff and products. Their ability to turn quotes around very quickly is also one of their core strengths. Time is money in our industry and to have the ability to offer my clients 24 hour turn around time is a very valuable asset ABEX provides. Whether the risk is a builders risk, high value home, vacant home, or student rental, ABEX continues to be a market leader in innovative products, coverages and premium. I am extremely pleased with my developing relationship with ABEX as they have encouraged and assisted me to continue to grow my knowledge of hard to place risks as well they have supported me significantly to build my book of business to where it is today . 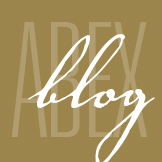 “I am writing to convey what a pleasure it is in dealing with Abex Insurance. The product offering is expansive. The breadth of coverage is better than most MGA’s. The staff are knowledgeable and the communication is always professional. It is easy to get in touch with someone quickly which is not always the case with MGA’s. Email response is usually immediate. That’s nice as no one likes paperwork hanging around on their desks longer than necessary. Policy issuance is very accurate, with none to minimal error. ABEX is my favourite MGA! “ABEX has been such a pleasure to work with, their underwriters and their expert knowledge of the business are truly one of a kind. They are the first company I go to when I have a specialty risk and they haven’t disappointed once. I’m happy to have had the pleasure to work closely with a few of their underwriters and I can really say I have such an appreciation for their promptness, friendliness and understanding for the risks I bring to them. Thomson Jemmett Vogelzang, a division of Johnson Inc.
“I just wanted to convey my thoughts and appreciation on ABEX and the quality of service that we have been receiving over the last number of years here at Masters Insurance. First, the suite of products available to our agency allows us to place a variety of business with ABEX with very little limitations from the personal lines standpoint as well as from a commercial lines point of view. Premiums are very competitive and coverage are above what the rest of the market offers in most instances. Secondly, the service we receive from ABEX is on par if not above any of our personal lines or commercial lines companies. In fact, as far as I am concerned, the service from ABEX staff is top notch receiving quotes usually same day if not by next day. Binding is also made easy by placing business quickly and efficiently with ABEX ensuring that coverage is in place to protect our valued customers when required. Lastly, it’s always a pleasure dealing with our usual underwriters by having a fun relationship with everyone we deal with in spite of the pressures of getting business in place usually with very tight deadlines. Edward Powell Insurance Brokers Ltd.
“Over the past year, ABEX has become a “Go To” market with hard to place or specialty risk. From my personal dealings over the past year, I have come to understand that ABEX has a different way of looking at specific risks that other markets will not write, or provide competitive pricing and coverage’s for. ABEX’s creative underwriting solutions have been a great tool, which has helped me personally be successful in writing new business on many occasions. The Underwriting team at ABEX is in my opinion exceptional. Their ability to provide competitive solutions to specific risks is definitely a huge asset. Over the past year the underwriting team at ABEX has built a solid relationship with myself and has increased my confidence in the products and programs provided. In the current market conditions, ABEX has become a market that I have recommended on many occasions to my colleagues not only for competitive pricing but for industry leading coverage’s and creative underwriting solutions. “We have developed a very good relationship with ABEX. They are always very responsive to our requests. On one file the underwriter stayed after hours to assist us to bind a number of risks that were closing that day. This extra effort was appreciated as we were able to accommodate a large commercial client. We find the underwriters at ABEX are friendly and easy to work with. Their website is very informative. Their Blog addresses current insurance topics. ABEX is seeking qualified candidates to support the expansion of our business. If you would like to explore your next career move with a rising leader in the industry, please send us an email with your résumé and other supporting documents. We will review your information promptly and contact you if a suitable position is available. ABEX welcomes and encourages applications from people with disabilities. Accommodations are available on request for candidates taking part in all aspects of the selection process.